The Phoenix Pulse Fuel Masters were set to face arguably their toughest challenge yet this conferece. They were matched up with the Barangay Ginebra San Miguel just last Sunday in a battle between the current top team of the league and the fan favorites. 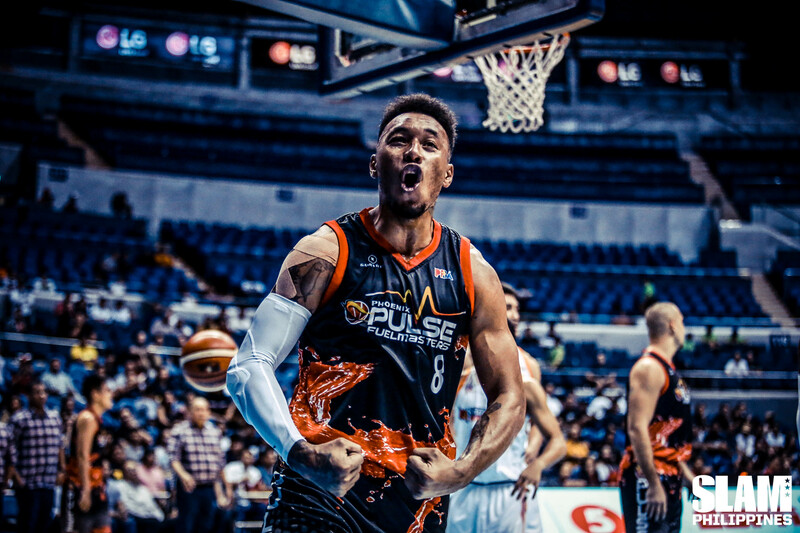 It was expected to be electric, especially since this involved Calvin Abueva and the Barangay. But outside of Calvin’s flying kisses and the heckling of the crowd, an underrated aspect of this matchup as the battle between the front courts of Phoenix and Ginebra. The Gin Kings boast of one of the best front courts in the league in Greg Slaughter and Japeth Aguilar. The Fuel Masters, while filled with plenty of big men (Doug Kramer, Jason Perkins, Dave Marcelo and Justin Chua), lacked the size and the length to matchup with the Twin Towers of the Barangay. If there was a team who could expose this weakness of the Fuel Masters, it was Ginebra. It could have easily been a romp, but that wasn’t the story coming out of Araneta that Sunday evening. While Slaughter had a double double and Aguilar had 11 points and the game-saving block, the Fuel Masters big men made a good account for themselves. 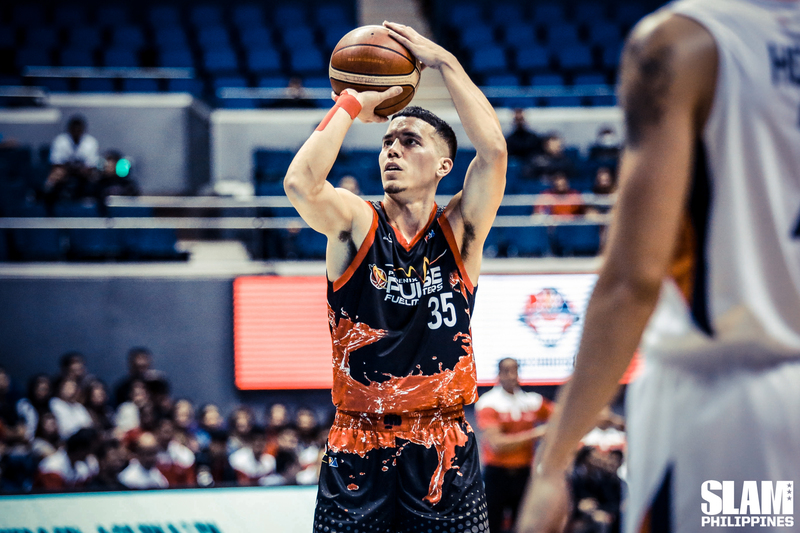 Kramer, Marcelo, and Chua all scored in double digits for the Fuel Masters, while Perkins scored all of his nine points during the fourth quarter. Whatever they lacked in natural talent, they made up for with grit and smart basketball play. That’s been the story of the Phoenix Pulse Fuel Masters this entire 2019 Philippine Cup. Coming into the season, they were tagged as dark horses mostly owing to their depth. Phoenix made a number of sneaky acquisitions during the offseason. They were able to grab Alex Mallari and Dave Marcelo from the NLEX Road Warriors in exchange for the 4th pick in the recently concluded PBA Draft, and the Fuel Masters 2019 second round pick. It made sense for Phoenix to trade away a rookie pick in exchange for two proven commodities. They had their best record in years the previous conference after finishing second in the standings. 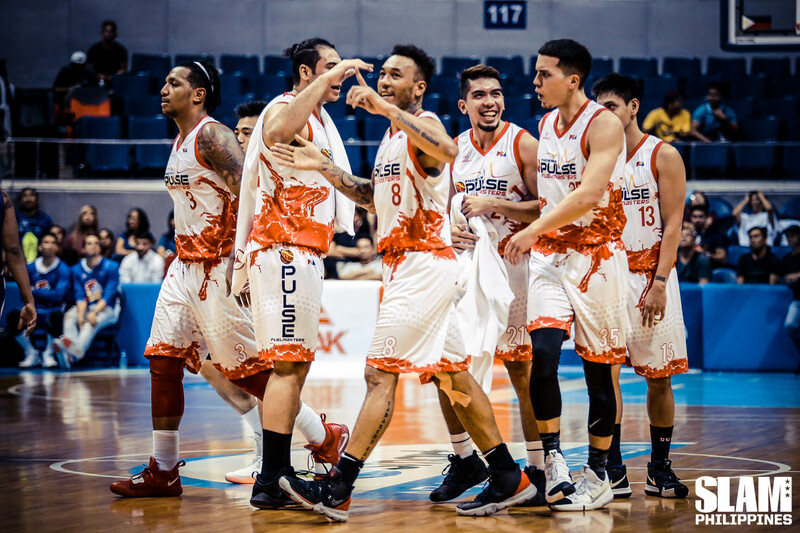 While they lost during the quarterfinals in heartbreaking fashion against the Meralco Bolts, they had something there. They just needed to build on what they had. Build they did, as they currently stand as number one seed, in good position to notch a top two seed for the second straight conference. It’s easy to look straight ahead and give most of the credit to their top two players, Matthew Wright and Calvin Abueva. It’s star power that usually catapults teams to elite status. While true, Abueva and Wright haven’t done this alone. They’ve had a solid group of teammates who have helped them along the way. It’s that help from teammates, the one’s who don’t get as much credit as they’d deserve, that capture the identity of this Phoenix team. They aren’t your usual number one seed. They can be compared to the Grit ’N Grind Grizzlies to that effect. They’re tough, nasty in the right way, and are willing to choke you down to counter whatever they lack in terms of natural talent versus other teams. Like what Coach Louie said, it’s all about containing that talent one goes up against. That toughness has showed itself with how the team secures possessions. Despite their lack in length, they’ve emerged as the top team in rebounding in the league, averaging 52.7 a game. For context, only three teams in the league average more than 50 rebounds a game; Phoenix, Ginebra, and Magnolia. Ginebra and Magnolia have the talent and size to hit those rebounding numbers. Phoenix doesn’t. The Fuel Masters make up for it by setting boxouts, correctly, and with plenty of vigor. That’s a wide frontline of Marcelo, Perkins, Chua, and Kramer, then you have Abueva flying out of nowhere for offensive rebounds. Plenty physical, and quite wearing to go up against in a 48 minute contest. As of this writing, the Fuel Masters have a thin point differential of 5.1 points per game, which means they’ve been beating teams by slim margins all conference long. This shouldn’t be that surprising given their nature as a gritty team. Five of their games have been decided by three points or less, and only two of their games were decided by double digits. Those aren’t numbers you’d attribute to a number one seed, but the Fuel Masters are making do. Doubters have valid reasons to believe their luck in the clutch is bound to run out eventually. The Fuel Masters have two of their own to believe otherwise. The moment Calvin Abueva was traded to Phoenix, reactions were mixed. While fans know of him as an electric talent, his dedication and attitude were being questioned at that time. But for Coach Louie, none of that mattered. He knew the type of player he was getting. Coach Alas had a point. While undersized for a traditional forward, Abueva brought energy and motor that was impossible to replicate. His theatrics can be dangerously close to a line one does not one to cross. Coach Alas know this, as he went up against Calvin in the NCAA, and as an assistant to him for several years in Alaska. He knew the Beast. The only thing he could do was trust him, and his judgment of what was best for the team. The results have been mostly positive for both Abueva and Phoenix. The Beast has catapulted himself into the Best Player of the Conference race, averaging 16.4 points and 11.8 rebounds thus far. Most importantly, however, is how comfortable Calvin has looked. He looks like himself again, playing with a blend of joy and rage that makes unique as a player. It’s as if a large load had been taken away from him ever since he had gone to Phoenix. Matthew Wright has had quite the hand in making life easier for the Beast. In Alaska, Abueva was pushed as the team’s franchise guy for the longest time. By moving to Phoenix, Abueva was forced to go back in line and acknowledge Wright as the main weapon of the team. That hasn’t been a problem when it’s come to the dynamic of both stars. The move has allowed both players to naturally play in roles tailor fit them. 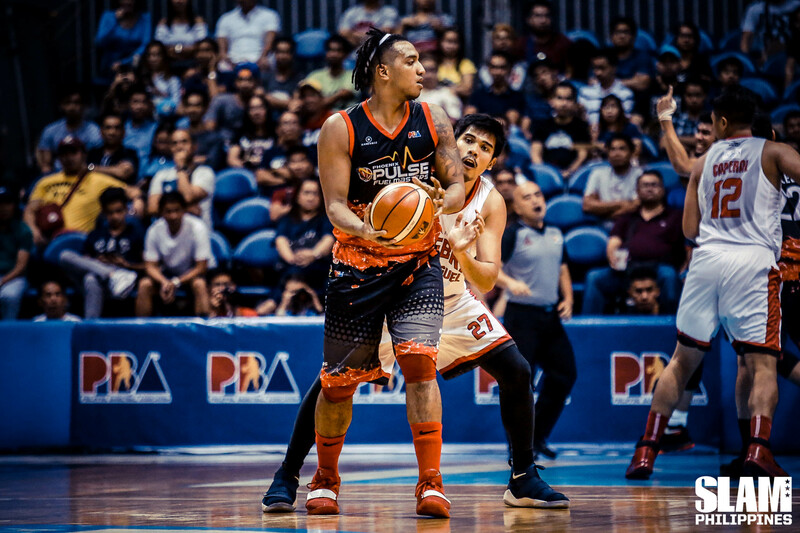 Abueva has turned into a Draymond Green of sorts for the Fuel Masters, a star level player who acts as a role player based on what he does on the court. Wright, on the other hand, gets the Robin to his Batman, as he makes the shift from shooter to go-to guy. “Matthew Wright is (a) very smart player. 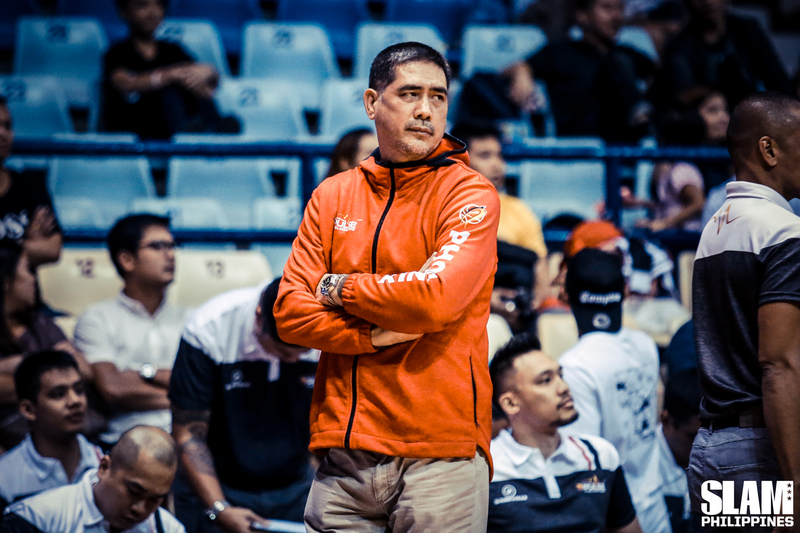 Alam niya mga bagay na makakatulong,” said Coach Alas. A part of his intelligence has been finding the balance of scoring, the thing he is naturally good at, and creating for others, something that’s become slightly new to him as of late. It’s been a learning process, but one Coach Louie believes will be worth it down the line. Phoenix has found a nice blend of everything. They have their franchise player, an equally talented wing man to back him up, a solid supporting cast and a head coach that’s maximized their strengths by putting in a system best fit for how they are as players. The results don’t lie. They only have two losses, both only by single digits to teams filled with plenty of talent. On the court, they look united as a group. They aren’t an embarrassment of riches when you look at their roster. What they are is a team with a solid identity, with the adequate tools to contend for a championship. Are they part of the PBA elite? Maybe not yet. Coach Louie himself has acknowledged, this group hasn’t made it past the quarterfinals just yet. There is plenty of work to be done, but at least the foundation has been set for a leap to championship contender status. It’s not about stopping the giants of the league, it’s about containing them. Do that, and they give themselves a good shot down the line.